Chef Buddy Digital Detachable Measuring Cup Scale Just $13.76! Down From $23.99! 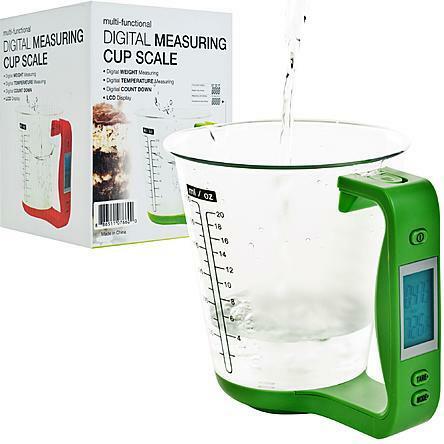 You are here: Home / Great Deals / Chef Buddy Digital Detachable Measuring Cup Scale Just $13.76! Down From $23.99! Sears has this Chef Buddy Digital Detachable Measuring Cup Scale on sale for $13.76 (Reg. $23.99)! Take the guess work out of your kitchen with the Chef BuddyT Digital Detachable Measuring Cup Scale.